Graphic Design - San Juan Publishing Group, Inc. Appearance is everything. When you look good, people assume you are good. We help you make sure that assumption is true by making you look—and be—your very best at what you do. It starts with outstanding graphic design. Graphic Design is a creative process, where you and our designer work together to build and facilitate the best visual presentation of your product and services. Your graphic designer is your Creative Coordinator, locating and managing services of the various mechanical providers that collectively output your message, which may include a printer, internet provider, sign maker, product packager, etc. Regardless of the quality of the mechanics, however, the key component to successful graphic design is creativity which originates from working with San Juan Publishing as your Creative Coordinator to managing all the design components that tell your story. The creative process targets a specific audience—”TARGET MARKETING“—with a visual appeal that presents a carefully crafted message designed to strongly appeal to your market. Graphic design is the start of your marketing campaign. It establishes your brand, and is the key component to all the other ingredients, from public presentations and event management to print and broadcast, and a strong internet presence. Learn more about how we Market you and your business. Graphic design covers a wide range of products and services. Generally, the first step in client design is “branding” — creating a unique and easily recognized, business identity, usually (but not always) defined by a “logo.” This is then carried into a variety of presentations including print advertising, web site design, signage, and small business marketing materials such as business cards, brochures, rack cards, etc. We guide you through the branding process or help you revisit it if you need a refresher. Some of the graphic design services we offer. Branding. Logo Design (or redesign). 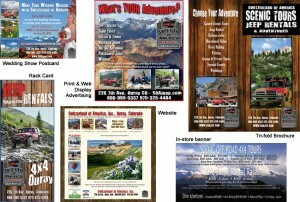 Print material designed and printed: Brochures, Rack Cards, Business Cards, maps, posters, event promotional material. Display Advertising. Print and web. Websites. Design, build, maintain, host. Photography & videography, specializing in product photography (jewelry, art, clothing, food). Multi-media Presentations (online, on-screen, on stage, print, web, events) . Large press run print publications. Catalogues, magazines, location- or subject-specific publications. Online publications. Catalogues, E-commerce, e-zines. Book Publishing – print (we don’t do e-books). 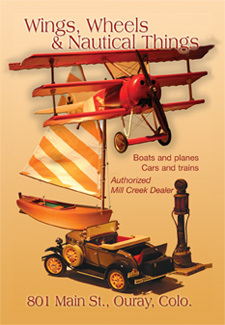 Industries we service with graphic design products (online, brick and morter, or both). Hospitality. Lodging, food and beverage. Service. Medical, Professional, Financial, Self-care, Personal services. Entertainment & Cultural. Activities, personalities, events. with your DESIGN needs, please contact us today. 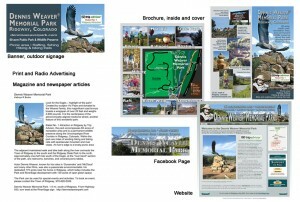 Click on any image below to see example of a Graphic Design Package with multiple media and usage. 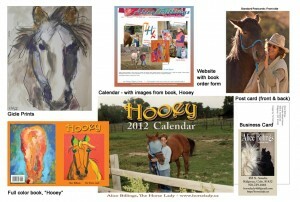 Graphic design for Alice Billings, the HorseLady. Click image for more details. Website. Promotional Design Package Switzerland of America Tours. Click image for more details. Website. Marketing Package Dennis Weaver Memorial Park. Click image for more details. Website. Your best solution for outstanding graphic design!